Native American communities actively managed North American prairies for centuries before Christopher Columbus’ arrival in the New World, according to a new study led by Southern Methodist University (SMU) archaeologist Christopher I. Roos. Fire was an important indigenous tool for shaping North American ecosystems, but the relative importance of indigenous burning versus climate on fire patterns remains controversial in scientific communities. 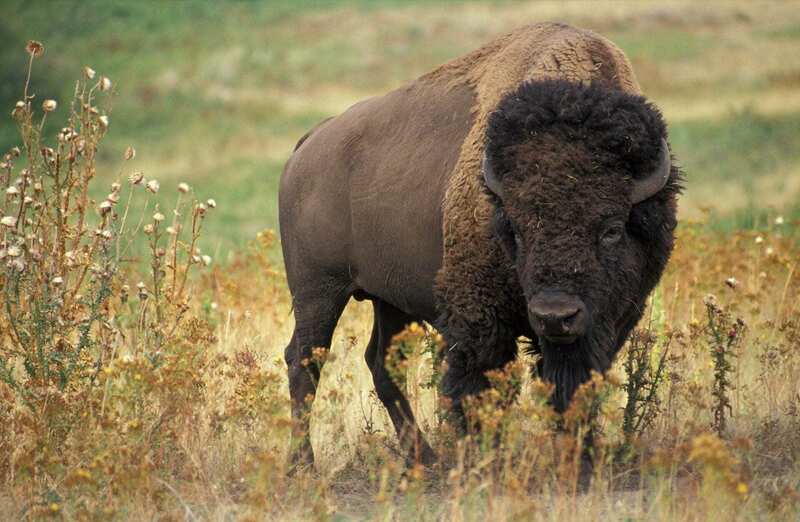 The new study, published in Proceedings of the National Academy of Sciences (PNAS), documents the use of fire to manipulate bison herds in the northern Great Plains. Contrary to popular thinking, burning by indigenous hunters combined with climate variability to amplify the effects of climate on prairie fire patterns. Anthropologists and historians have documented a wide variety of fire uses by Native peoples in the Americas but fire scientists have also documented strong fire-climate relationships spanning more than 10,000 years. Working in partnership with the Blackfeet Tribe in northern Montana, Roos and colleagues combined landscape archaeology and geoarchaeology to document changes in prairie fire activity in close spatial relationship to stones piled in formations up to a mile long that were used to drive herds of bison off of cliffs to be harvested en masse. These features are known as drivelines. “We surveyed the uplands for stone features that delineate drivelines within which bison herds would be funneled towards a jump,” said anthropologist María Nieves Zedeño of the University of Arizona, co-author of the study. “By radiocarbon dating prairie fire charcoal deposits from the landscape near the drivelines, we were able to reconstruct periods of unusually high fire activity that are spatially associated with the drivelines,” says Roos. The overlap between peak periods of driveline use (ca. 900-1650 CE) and prairie fire activity (ca. 1100-1650 CE) suggests that fire was an important tool in the hunting strategy involving the drivelines. Roos and colleagues suggest that fire was used to freshen up the prairie near the mouth of the drivelines to attract herds of bison, who prefer to graze recently burned areas. Episodes of high fire activity also correspond to wet climate episodes, when climate would have produced abundant grass fuel for prairie fires. The absence of deposits indicating high prairie fire activity before or after the period of driveline use, even though comparable wet climate episodes occurred, suggests that anthropogenic burning by Native hunters amplified the climate signal in prairie fire patterns during the period of intensive bison hunting.